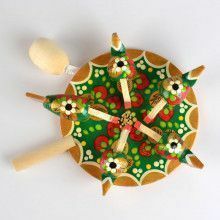 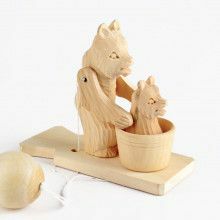 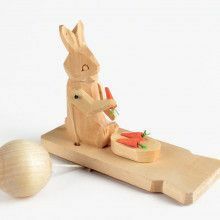 This fun wooden toy was created in the village Bogorodskoe, near Moscow. 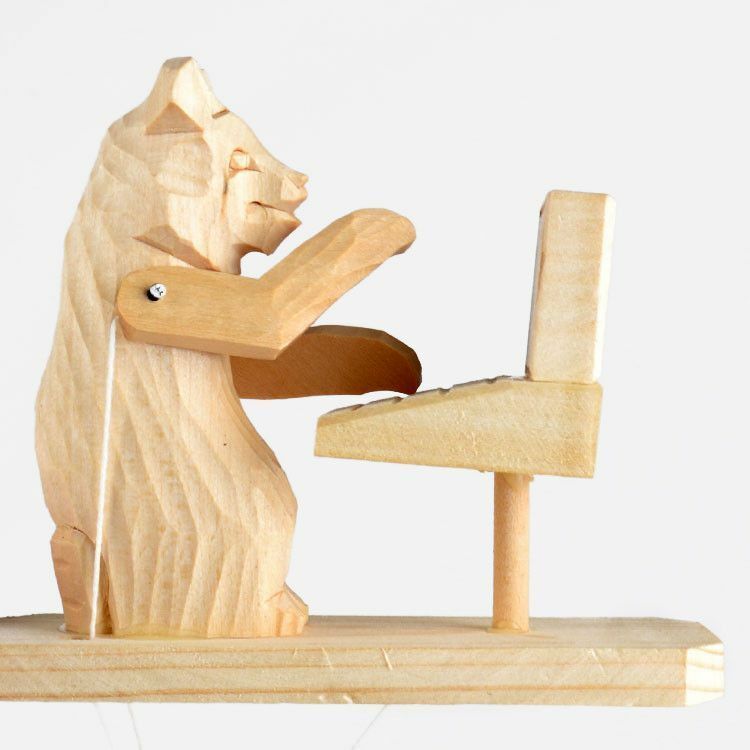 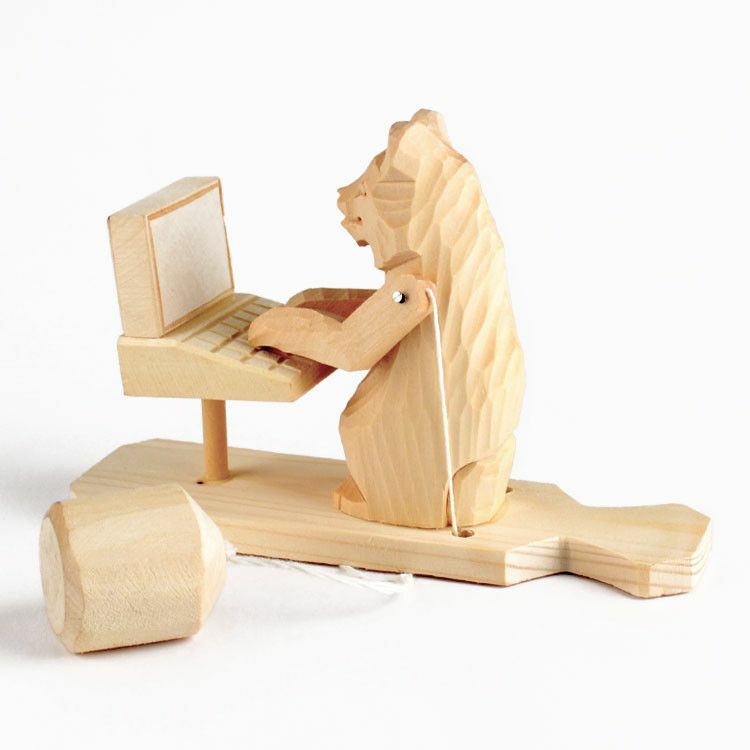 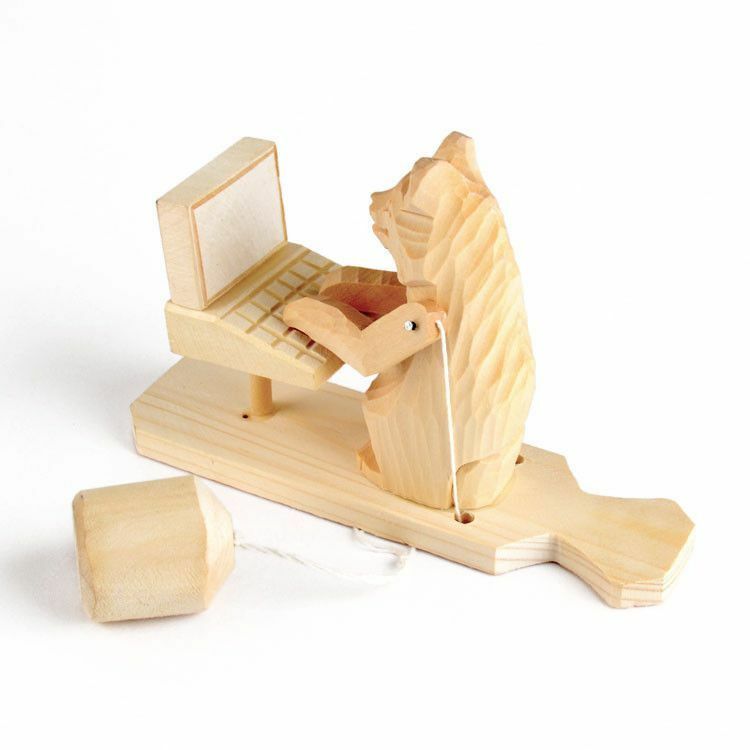 When the ball is swung in a circular motion, the bear's arms start to move and he begins to type on his computer! 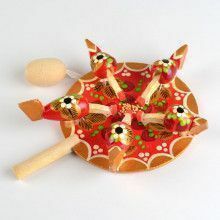 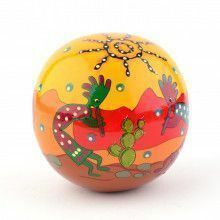 It makes some noise, and amuses any child as well as an adult.